AB BOARD SURGERY made with stronger materials such as cardboard and foam industry that allows free movement and in turn exerts the pressure necessary to avoid formation of fibrosis or bruising after abdominal plastic surgery. 9" width x 8.5" length x 0.5" thick. SPEEDS RECOVERY and good results of surgical and aesthetic procedures.Special for Flattening abdominal skin after liposuction. Can be worn under any tight girdle or bodyshaper for tummy flattening. PEAR SHAPE Ab Board With Lipo Foam Product use for postoperative or postpartum helping deinflamation. It allows the skin acceding to the muscle & Molds your body. FREE MOVEMENT & in turn exerts the pressure necessary to avoid formation of fibrosis or bruising after abdominal plastic surgery. C-Sections,Liposuction, Post Op & Tummy Tuck.Abdominal compression board, flattening board, Tabla moldeadora, Tabla salome, Tabla para fajas, Fajas Colombianas and Liposuction board. WE FULLY STAND BY OUR PRODUCTS and prove it with our 100% "Love it or Leave it Guarantee" if there is any reason you don't absolutely love our Body Shapers simply return it for a FULL REFUND or exchange in size. Give us a try, its 100% risk free and we know you'll love it. Click ADD TO CART Now! 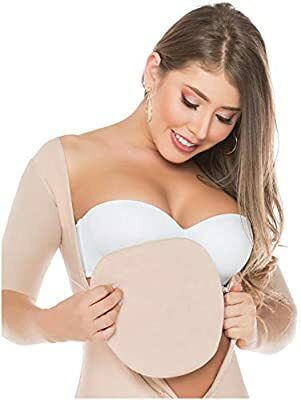 LOS MEJORES ACCESORIOS POSTQUIRURGICOS: Fajas Salome te ofrece lo nuevo en accesorios post operatorios con esta tabla abdominal, que te ayuda a desinflamar el área luego de una cirugía cosmética. Los mejores materiales fueron escogidos al hacer esta tabla abdominal salome que puedes usar todos los días junto a la faja Salome de tu preferencia. AB BOARD SURGERY made with stronger materials such as cardboard and foam industry that allows free movement and in turn exerts the pressure necessary to avoid formation of fibrosis or bruising after abdominal plastic surgery. 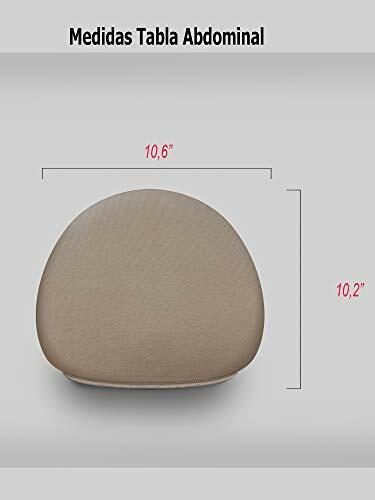 9" width x 8.5" length x 0.5" thick SPEEDS RECOVERY and good results of surgical and aesthetic procedures.Special for Flattening abdominal skin after liposuction. Can be worn under any tight girdle or bodyshaper for tummy flattening. PEAR SHAPE Ab Board With Lipo Foam Product use for postoperative or postpartum helping deinflamation. It allows the skin acceding to the muscle & Molds your body. FREE MOVEMENT & in turn exerts the pressure necessary to avoid formation of fibrosis or bruising after abdominal plastic surgery. C-Sections,Liposuction, Post Op & Tummy Tuck. 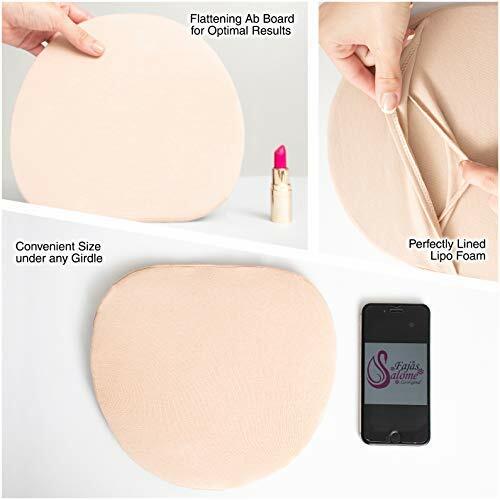 LOS MEJORES ACCESORIOS POSTQUIRURGICOS: Fajas Salome te ofrece lo nuevo en accesorios post operatorios con esta tabla abdominal, que te ayuda a desinflamar el área luego de una cirugía cosmética. Los mejores materiales fueron escogidos al hacer esta tabla abdominal salome que puedes usar todos los días junto a la faja Salome de tu preferencia.